A gorgeous set up was created in one of the rooms @ Fanhams Hall last week. 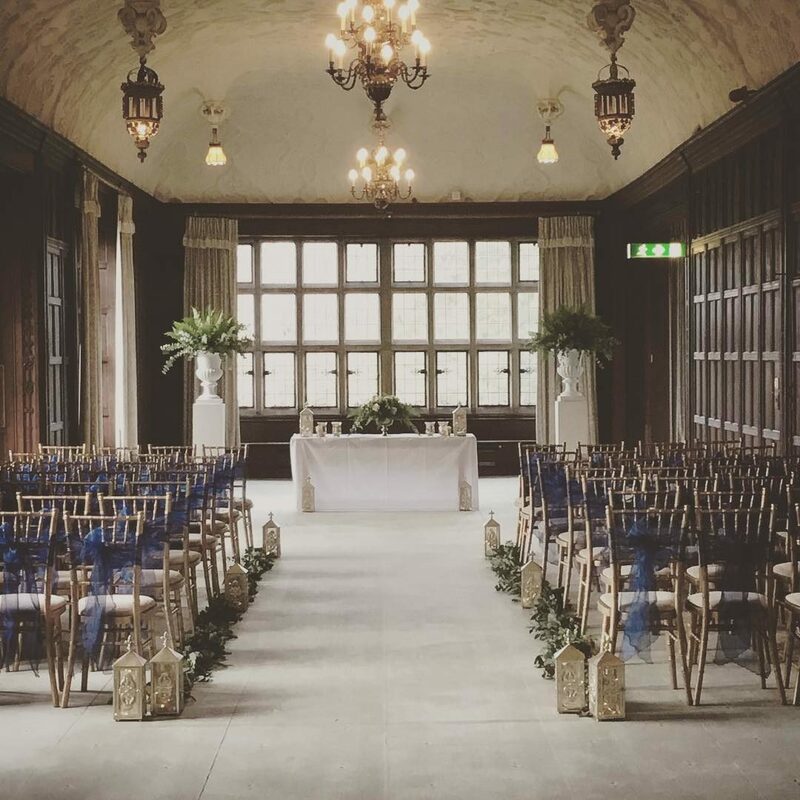 Eucalyptus garlands sat neatly along the rows of chairs and big beautiful ferns were bursting out at the front. Gold lanterns were placed along the aisle and satin navy bows were tied beautifully around the chairs. Valentines 2018- A big thank you too!